So, you’re looking to buy a new car, and you don’t have the money to purchase one fresh off the assembly line—used cars it is, then. What you probably don’t realize as you’re perusing up and down the used car lot is that some of the cars you’re looking at are from rental facilities. In fact, you might not have known that you can specifically target your search in the realm of retired rental cars, and that they come with their own series of pros and cons that just might help you find the vehicle that’s right for you; but is it even worth it to weigh in a rental car’s worth? What’s the Deal with Rental Cars? If you’re considering buying a rental car, then one thing you’ll have to look forward to is the types of cars on sale and the price tagged to them. Rental companies like to provide their clientele with up-to-date vehicles, and frequently cycle through them before mileage gets too high—meaning their cars are newer models. If you were worried about only having old clunkers to choose from, put your mind at ease.This also means that the car might still be under manufacturer’s warranty. Let’s take the 2018 Ford Flex Limited FWD for example: Here in Nevada, (specifically Henderson, Nevada) Enterprise is currently selling one of these bad boys for $24,000 with 27,000 miles on it. The general dealership price for this car is approximately $38,500. If you were to purchase this car from Enterprise, you would be saving over $10,000, with only minimal mileage to take away the new car smell. Not a bad deal, if you ask me, especially when you take into account the ease of the transaction. When you’re buying a rental car, you’ll find that most for sale are at no-haggle prices. If you are someone who either doesn’t know how to haggle or is not very good at it, you don’t need to worry over attempting it with this kind of purchase. Rental companies have to keep their cars up to snuff so that they can provide good service to their renters, and to do so they use certified technicians and conduct multipoint inspections on their cars regularly. More than likely the cars you’re looking at will be better managed than those of private owners. These cars also come with their own history report using services such as CARFAX, so you will be able to evaluate whether or not the car has too much damage for your liking. Alongside the purchase of one of these cars is usually a warranty of some sort, just like you would get at a dealership. It’s important to take notes when comparing your options and whether the places you are buying from are providing this benefit, as it could potentially save you a lot of trouble in the future should you have any issues with your car. Of course there are downsides to purchasing a rental car. The biggest concern is the wear and tear from the previous drivers, whether that means stains on the interior or scratches on the paint job, but it may still be less than the daily use of one person's sole mode or transportation. The car will certainly not be fresh, and while it might’ve been maintained, the manhandling it has had might have lasting effects on its value. Your best bet to address this issue would be to bring the car to an outside mechanic and pay for an evaluation, which is not cheap. On the plus side, you can do this before buying the car, as rental car agencies typically allow potential buyers to test drive a car for several days, albeit at the daily rental cost. Another drawback is the no-haggle price. If you are someone who is good at haggling and wishes to attempt to bring down the price of the vehicle, then you will not have this opportunity buying a rental car. Knowing if you’re getting a good deal on the car is key, so using resources like Kelly Blue Book to evaluate the true value of the car could prove key in making sure you’re really getting what you pay for. You won’t have a lot to choose from on a rental car purchase. A dealership or a used car lot will have a variety of cars to choose from, and you might be able to find a car you love that also has good ratings—your experience buying a rental car will be much more limited. While you will probably find a good car, it might not be the kind of car you want. Financing your purchase is important, regardless of whether you’re buying straight from the dealership or from a rental car company. 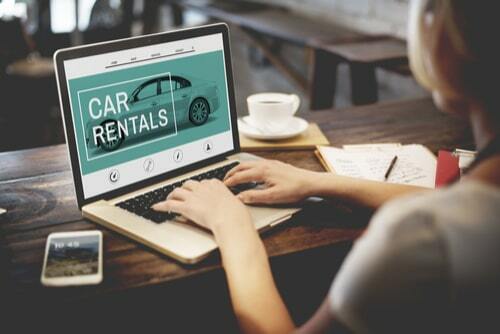 First, you need to take a look at all of your options from the rental places available, as well as from used car businesses that advertise selling rental cars. Once you make a list of all the cars in your price range, your next step would be to evaluate the cars’ performances and make sure customer and professional reviews reflect the investment in the car. You should be left with a handful of cars to choose from, at which point you need to consider the cost and how you plan to pay for it. Some places offer payment plans with set amounts you pay each month for a set number of months; however, some places do not. If you don’t have the sum of what you need for buying a rental car upfront, you might want to consider a signature installment loan to assist you. 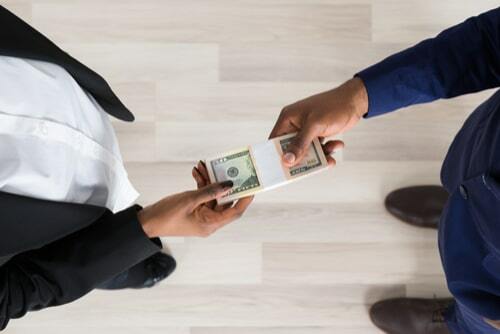 Taking out an installment loan would give you the cash you need to cap off the cost of your car, and allow you to pay off the loan over a series of months just like the other plans do. 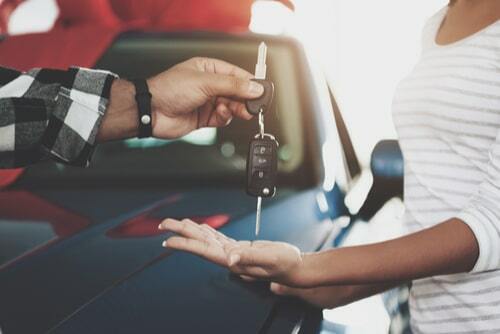 Wherever your used car buying journey takes you, using an installment loan for buying a rental car could be exactly what you need to get you there!